The other day I was walking around Walmart, innocently looking at all of the fall decorations and Halloween candy. I was about to make my way to the self-checkout with about a year’s worth of Snickers and Reese’s peanut butter cups when something caught my eye. Christmas decorations. Christmas?! Already?! It’s barely October! Halloween is still weeks away. What is happening?! I felt the panic begin to rise in my chest, as I considered ripping into my candy stash a little earlier than I had intended. I quickly reminded myself that there is no need to panic. The holidays don’t have to be stressful. Still, it is never too early to start preparing for the holiday season if your loved one has Alzheimer’s or dementia. Keep it simple: Adopt a less is more approach to the holidays this year. If you usually host large family gatherings for the holidays, consider scaling it back. Instead of inviting all of your extended family and friends, maybe just invite immediate family and close friends this year. 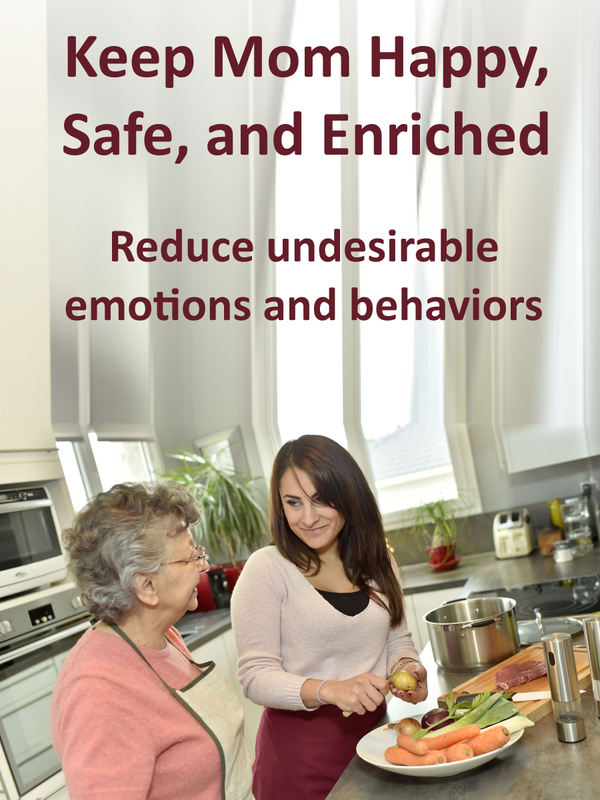 Having a smaller, more intimate holiday gathering will be less stress on your loved one. There will be fewer faces for them to recognize and less noise for them to tolerate. It will be less stress on you, as well. There will be less food to buy/make and less to clean up when the party is over. 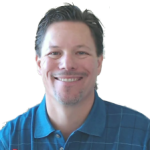 Plus, it will allow your immediate family to have more quality time together during the holidays. Be realistic about what your loved one can still enjoy. We stopped hosting or taking my mom to family parties well over a year ago. It just became too much for her to handle. She would become agitated, stressed, and confused by all of the noise and all of the people who knew her, while she didn’t know them. We knew that she was no longer able to enjoy parties and it was time to stop putting her through all of that just for our own benefit. 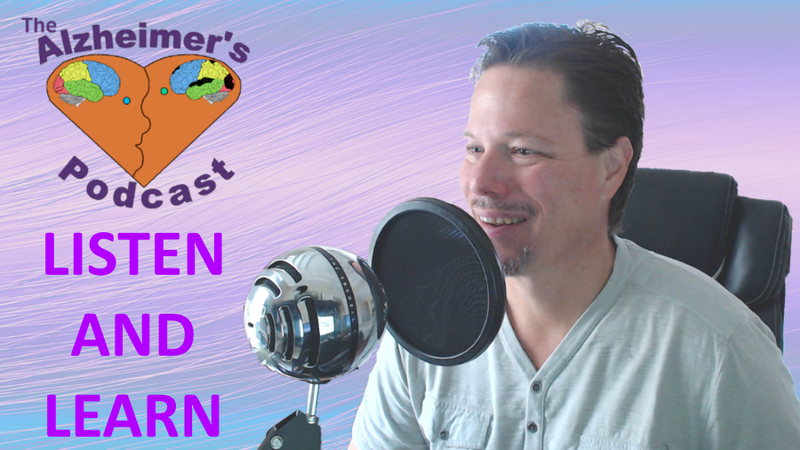 Someone recently gave me the advice that you should ask yourself if this is something your loved one can still enjoy or is it something you wish they could still enjoy. I think that sums it up perfectly. Prepare for the worst, but hope for the best. If you decide to host or attend that family party, make sure your loved one has a quiet area of the house to go to if he/she is feeling overwhelmed. Bring other activities with you to keep your loved one occupied, such as a photo album to flip through or headphones to listen to their favorite music. Be prepared to leave the party early or ask everyone else to leave early, if needed. Make sure that someone is always sitting with your loved one so he/she doesn’t feel ignored and don’t be afraid to ask for help when getting food or using the bathroom. Always have a plan if something goes wrong, but try to remain hopeful that it won’t. Some of the best moments with our loved ones come when we least expect it. Start new traditions with your loved one based on what they can do, not what they can’t do. 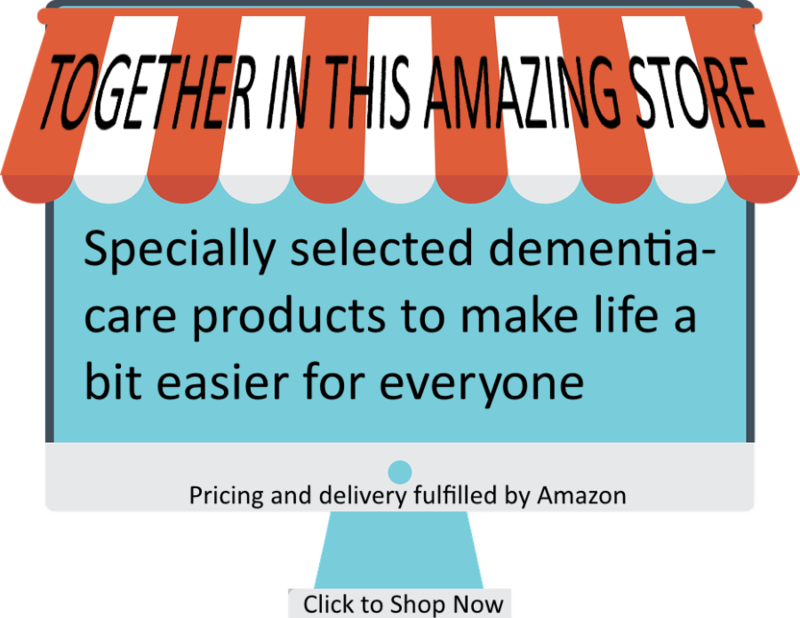 We all need to constantly reevaluate our loved one’s abilities and meet them where they’re at in order to navigate dementia. Two years ago, I helped my mom paint Christmas tree ornaments to give as gifts to everyone. I knew that she could no longer go shopping for Christmas presents, but rather than drawing attention to that or doing it for her, I included her by doing something that she could do. 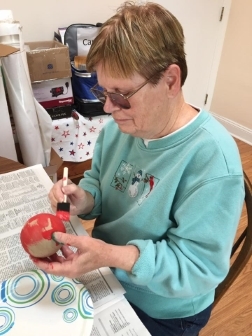 Last Christmas, painting ornaments was no longer an option, so we just listened to Christmas music together. You could try making Christmas cards or gifts, baking cookies, singing carols, or just looking through old holiday photo albums together. It’s all about the little things! Encourage your loved one to participate in holiday activities, but don’t force it. We all want our loved ones to enjoy holiday activities with us, but it can sometimes cause them to feel overwhelmed. 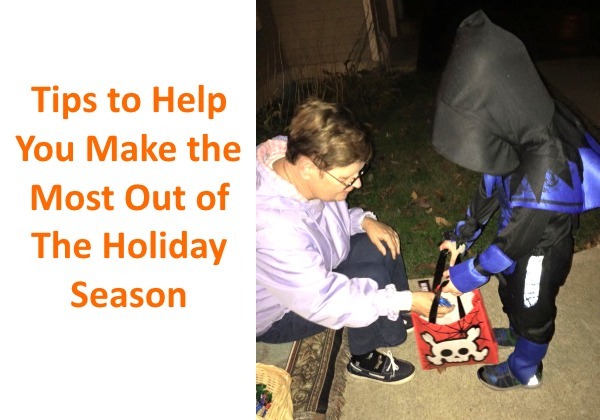 Let your loved one help hand out Halloween candy, set the table for Thanksgiving, or decorate the Christmas tree, but don’t make them do anything they don’t want to do. Don’t worry if things aren’t done perfectly. My mom bought a Passover tablecloth, paper plates, and napkins for Easter one year and no one even noticed. Don’t discourage your loved one by correcting them or fixing what they did wrong. It doesn’t matter. Let it go. Treat every holiday as if it’s your last with your loved one. This might sound negative, but hear me out. If you knew that this would be your loved one’s last Christmas, how would you spend it? Would you be out running around at the last minute to find the perfect gift for everyone? Would you spend hours meticulously decorating the tree? If it was your loved one’s last Thanksgiving, would you care if the turkey was dry? Hopefully, you answered “no” to all of those questions. All that really matters is spending time with your loved one while you still can. They might not notice the turkey, decorations, or presents, but they will definitely feel your presence. About the Author: Lauren Dykovitz is a blogger and author. She lives in Florida with her husband and two black labs. Her mom, Jerie, was diagnosed with Alzheimer’s disease in 2010. She is still living with Alzheimer’s and is now 70 years old. 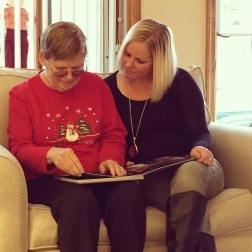 Lauren writes about her experience on her blog, Life, Love, and Alzheimer’s. 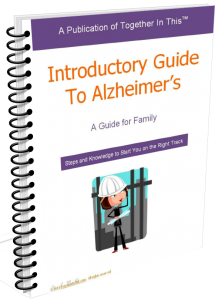 She has also been a contributing writer for several other Alzheimer’s blogs and websites. 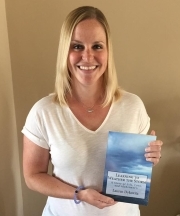 Lauren recently self-published her first book, Learning to Weather the Storm: A Story of Life, Love, and Alzheimer’s. It is available through Amazon (this link goes to my Amazon Store). Please visit lifeloveandalzheimers.com to read more about Lauren’s journey.